The American dream of starting a family and having children does not look the same for everyone. There are times when a couple cannot have a biological child of their own, but that does not mean that can never have a child. All around the US, and in the state of Arizona, there are children who do not have a home or mothers who are looking for wonderful parents to adopt their unborn child. 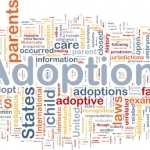 There are many scenarios in which adoptions take place. Regardless of the reasons for adoption, the process can become complicated. 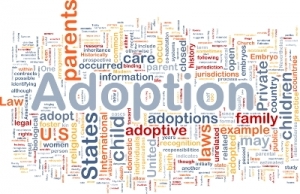 When people begin the adoption process, they often do not realize just how much is involved. That is why it is vitally important to secure a qualified adoption attorney to help you through the process. Adoption can be one of the most rewarding things you and your loved one do. It can fill a void, not only in your lives, but the life of a child. A “home study” that will include in-home visits with a social worker. Prospective parents may also be required to undergo educational classes to prepare them. Prospective parents will also be examined for their moral fitness, religious background, physical and mental health. This process may seem invasive, but that is the point. Consider the weight of what is happening – a child is being placed with a family. 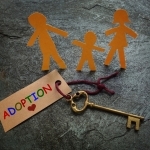 Private adoptions are the most common types of adoptions that take place in Arizona and they involve the birth mother and the adoptive parents. However, even though these are the most common does not mean that they are easy. You need to have an attorney in place to guide you through this process because you do not want to encounter a situation where the birth mother changes her mind down the line. Working with a licensed adoption agency, whether private or public, will help ensure there are no problems. Though these are private adoptions, they still involve social service professionals and the courts. Filing for adoption through Arizona’s Department of Child Safety is another option available to Arizona families. There are many kids in foster care who are there because their parents could not provide a safe environment for them. Often it is not possible to reunify them with their birth parents. Through DCS and their contracted agencies, you can become a foster parent. Many of the same requirements are in place to become a foster parent. While many foster parents do not adopt, those who choose to often have an easier time because they are already screened. There are many international adoption programs available to Arizona residents. This process is going to be different, as prospective parents will also be dealing with the requirements of the country the child is coming from. Often, these adoptions require visiting the child’s home country. Click here for additional information on Arizona adoption laws. If you are single, you can also petition for adoption, but know that the court prefers to place an eligible child with a certified man and woman couple. If you have been putting off the adoption process because you think it is too complicated, please consider starting the process now. The requirements are tough for a reason, but they are manageable with assistance from a knowledgeable and experienced Arizona adoption attorney.